Different methods of doing things are always dressed up in various different ways. They take on different titles and connotations and tend to be supported by people from different elements of society. Natural horse training is no exception. Originating in particular from the North American training evolution, the very fact of its originality is attractive for a lot of people, perhaps for the same reasons that westerns are also popular. Many of us have a certain image of the wild west, its potential and limitlessness. It's not surprising that there are plenty of people who think that riding in a Western saddle will make all the difference! Of course the influence of this different world is only a small part of the story. Trainers such as Monty Roberts did have something fundamentally new to show everyone, and other refinements such as the teachings of Mark Rashid have been being developing in parallel. 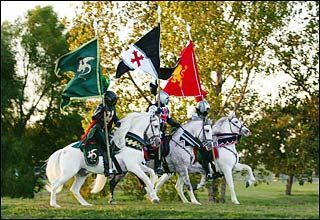 The history behind the difference between the natural horse training methods of the Americans and those of the Europeans is interesting. The Americans were able to study horses in their natural wild state, both in great numbers and often undisturbed by man, so the influence of people on them was all the more clear. On the other hand, maybe because the majority of Americans had pioneering origins - and didn't necessarily have the back up of an equestrian education or establishment, and were also dealing with wild horses - a tradition of considerable brutality was prevalent. Those trainers who were able to bring sensitivity and compassion into their approach were the exception. The contrast between this and the artificial world of horse management that developed historically in Europe is significant.In many cases this approach was a necessity, because Europeans did not always have suitable environments for horses to live naturally. In general the artificial environment horses were often kept in was offset by a more considerate approach to the horse's care and training, but not always! The Western culture is a different world to the European tradition of horsemanship, and on the surface natural horse training is also a completely different approach. In the end however, any training method comes down to certain fundamental concepts and the way they are implemented. 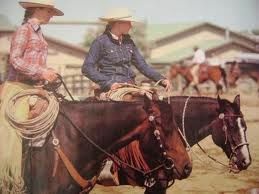 When we talk about training horses, we mean establishing a rapport first of all with a horse. This implies that we trust the horse and the horse trusts us. 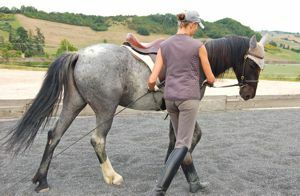 As a result of this bond of trust, we can then guide the horse in terms of being able to look after him, for his benefit (and our benefit in an altruistic sense) and it also means we can guide him in the sense of working with him, to develop a gymnastic relationship between us i.e lungeing, work in-hand and riding. We consider that this work is also primarily for the horses benefit, to interest him and empower him physically, as well as for our own benefit, because we are interested and empowered too. The point is that our relationship is of mutual benefit and to make this function in reality, we have to 'train' a horse to accept our decisions the majority of the time. All training is founded on the principle of yielding, because yielding means simply 'to give' in other words to accept the decision of another. Most people who train horses, whether it is natural horse training or traditional, have come to this conclusion, whether they apply it in an intelligent way or not. One of the most profound differences of opinion however, is what the concept of training actually means, and what it results in. Many people believe that in order to train a horse, the horse must respond to certain signals which will be memorized for the next time. 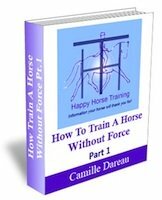 This form of training is, interestingly, taken up by circus trainers, people doing natural horse training, as well as people training grand prix dressage horses. 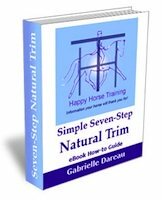 It can be taken on in a very serious and sophisticated way, where trainers become highly consistent in their application of the signals and horses become highly responsive to these signals. 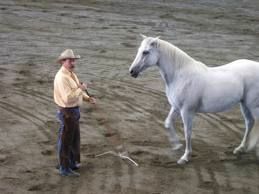 This can be seen in performances where different animals in a circus perform incredible feats, and when certain natural horse trainers display highly impressive manoeuvres with horses. The other school of thought concerning training, which also can be found in all fields of equitation, including natural horse training, is that certainly signals are used, or aids as they are called in horsey terms, but the difference is that the signals are used to incite attention to what could be thought of as the 'real training' which is unique in horsemanship because it is the gymnastic rebalancing and straightening of another being (the horse) by means of the energetic state (posture) of the first being, the rider. It is fascinating, in a way, how this whole other dimension of training can be completely and utterly bypassed. In bypassing it, however, the ultimate achievement of riding which is to sculpt and form the horse into what is basically a living work of art, is sadly forgotten. Interestingly we are breeding horses which are works of art already as two-year-old's, which may apparently paper over the cracks of unaccomplished training, but in the end it is the interaction between man and horse which is the important aspect of any kind of riding, and this cannot be ignored or misunderstood forever. The beauty of this rapport, when it has been perfected over many years, is unmistakable and irreplaceable. What is the Difference with Natural Horse Training? Inextricably linked to this training dichotomy is the second difference we have observed in training techniques, this is part of why some forms of natural horse training diverge quite radically from a more traditional approach. In our opinion this difference is rooted in the initial application of the 'yield' signal. When a horse yields they do so because sooner or later is becomes uncomfortable not to, and when they do, the discomfort is relieved. That fact is indisputable, and the corner-stone of all training. However, this process can either incite stress in a horse, or it can incite relaxation. For example, when a particularly dominant horse turns their head toward a more submissive one, this might incite a panic flight response as the submissive horse struggles to get out of the way quickly enough. This is a yield, and a quick one at that. On the other hand when one horse shoves into their grooming partner to get a better hold, the grooming partner will yield to accept the new position. This is also a yield. In studying the differences between the two types of yield, we have come to the conclusion that the first is a yield based obviously on fear. However fear of discomfort is always there to a greater or lesser degree, the difference then is in the anticipation. Horses, in particular, are animals highly susceptible to anticipation, and when we want to train a horse gymnastically i.e directly influence their musculoskeletal system, anticipation can be one of our biggest enemies. Horses are receptive to change only when they are relaxed, and when they are setting themselves up (anticipating) to react to signals, they are putting themselves into a state of tension. We have noticed that certain natural horse training techniques work entirely on the premise of anticipation - a common form of engendering this is by swinging a rope. This creates a very effective leverage for a trainer, but a leverage based on stress in the horse. Your horse keeps his personality and stays a horse, he doesn't turn into a bizarre 'reaction machine' who is always desperately trying to fit himself into the narrow channel of behavior you have made for him. 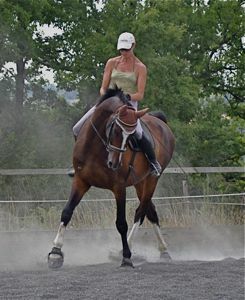 The nice thing about horses is their essential horse nature, why 'parellize' that to produce a trick-performing robot? Your horse will change physically through the influence made on his central nervous system by every single yield he makes in relaxation. 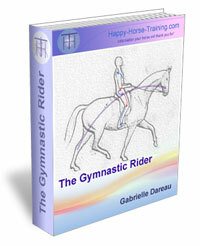 It may take a while, but you will, both on the ground and riding, bring the best out of your horse physically. We have seen horses with a ewe neck transform into a beautiful arch, and seriously dropped backs come up, to mention a few. Every time your horse yields in relaxation to you, you are strengthening your role as 'passive leader' in his eyes. This means he trusts you more and more and wants to be with you. Weaknesses in his character such as anxiety, stubbornness, aggressiveness or impatience will gradually resolve themselves over time. Incidentally, the dichotomy discussed earlier above between different training methods relates to the different ways of applying the 'yield' in an interesting way. When you can use your yield in a friendly manner which keeps a horse as calm and receptive as possible, then he has all his time and attention to listen (physically and mentally) to your posture, and respond on a profound level which will develop him. If on the other hand he is reverberating from your signal, you can use the stress created to channel him into a trick, but he will not allow you to influence positive change in his organism. This is because the central nervous system reacts to threats by shutting itself down, so in essence you are distancing yourself from your horse, like a clam snapping shut in the sea. The attraction to stress-eliciting training methods, both in natural horse training and dressage, is the instant power it gives the trainer. Like taking a pain killing drug, the symptom-relief is obvious. It really is only superficial though, and it might give you a buzz, but it won't give you the indescribable feeling you get when a horse finally gives you willingly his body and mind. 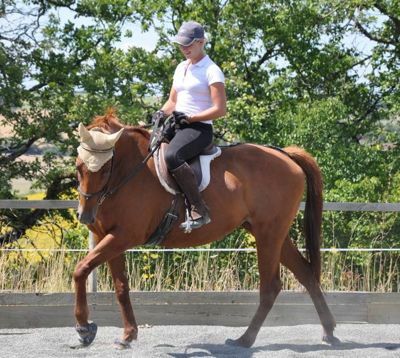 Dressage and Natural Horsemanship - What's The Difference?